The current preferences in the world of architecture, interior design and decoration are also reflected in the field of creative papers. 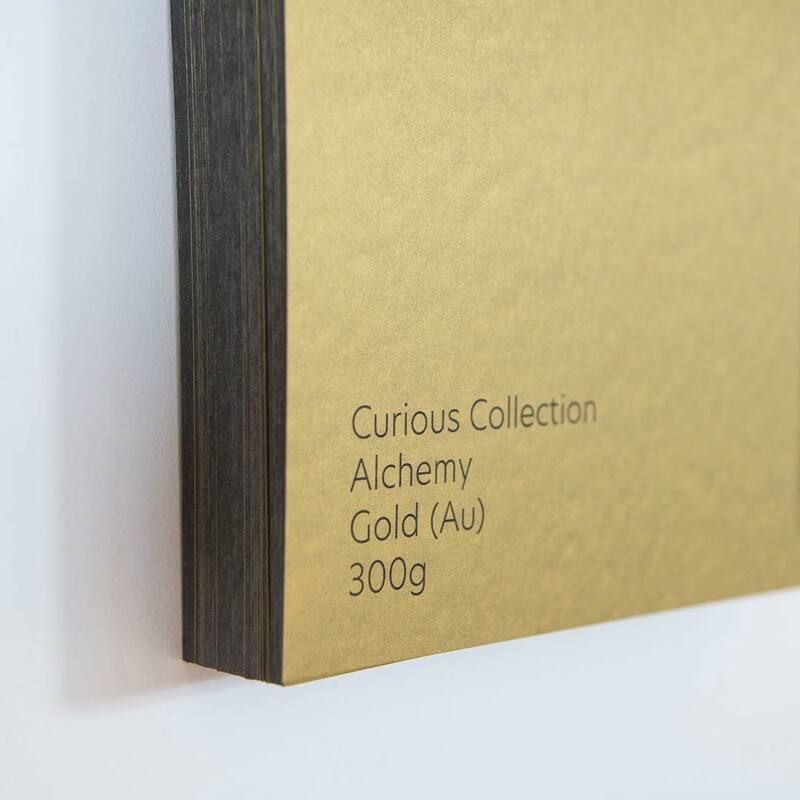 This is what happens with the latest innovation from the manufacturer Arjowiggins: Curious Alchemy. In its recently released catalog The Paper Book 2018 – 2021 Alchemy is the only collection ever seen. The rest of the novelties are color updates of already known ranges. Curious Alchemy fits within a very specific demand of clients dedicated to the restoration and interior design. Professionals who want a perfect communion in their brand image both in the construction materials and in the materials that build their identity on paper. For this reason, with the inspiration placed on the use of metal and the aesthetics of its worn façades, typical of contemporary architecture, Alchemy emerged. “The improvement of production techniques and the creation of lighter, ductile and resistant alloys has allowed the metal to adopt new compositional languages ​that go beyond its technical properties. With a shiny or rough finish, in sheet metal or perforated, the metal has expressive qualities that are highly valued to recreate very diverse aesthetics and concepts, from industrial evocation to a more tectonic character and attached to a specific place. It is also a material with the capacity to evolve and age with nobility, adopting very attractive colors and textures over time. 16 x 16 cm for all of them. These creative papers have their place in applications such as: menus, invitations, packaging, cards and book covers.